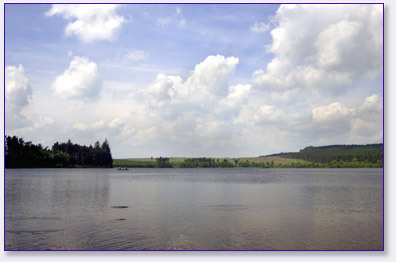 Sweethope Lough is a renowned stillwater stocked with rainbow and natural brown trout providing exciting fly-fishing for the discerning angler. NEWS - Fishing and outdoor activites are managed by our partner Sweethope Adventure. For more information please visit Sweethope Adventure or call the Fishery Manager 01830 540349 or Tony 07791707097. Sweethope Lough is the headwater of the Wansbeck river, which cuts it's scenic way to the North Sea through some of Northumberlands prettiest scenery. Sweethope is justifiably famous for it's stock of hard fighting rainbow trout offering every angler, from novice to expert, a chance to hook into a true fish of a lifetime at every visit. There are 20 boats and one accessible boat available. Please check with us if you have any accessibility questions. Sweethope is a popular venue for charity activities and fund raising events hosting a number of fishing clubs and organisations throughout the year. During contest and club days demand for boats is high so to avoid any disappointment it's advisable to contact us first with your requirements. By popular demand there are no set fishing times so you can just turn up and fish during daylight hours. With access to a number of experienced, friendly and professional coaches fishing at Sweethope caters for all levels of skill. To make your visit to Sweethope even more enjoyable a number of new and fully refurbished facilties are available which include separate ladies, gents and accessible toilets, showers with changing rooms, and an on-site shop. Catering can be had too ranging from light refreshments, morning and afternoon snacks, lunches, and more. To end your day in style Sweethope Adventure can provide full meals, BBQs, and finger buffets. Just get in touch for pricing and availability details. For full details please be sure to visit Sweethope Adventure's website where you'll find their contact page. Scroll down to view Sweethope Adventure's fishing reports from their Facebook page.